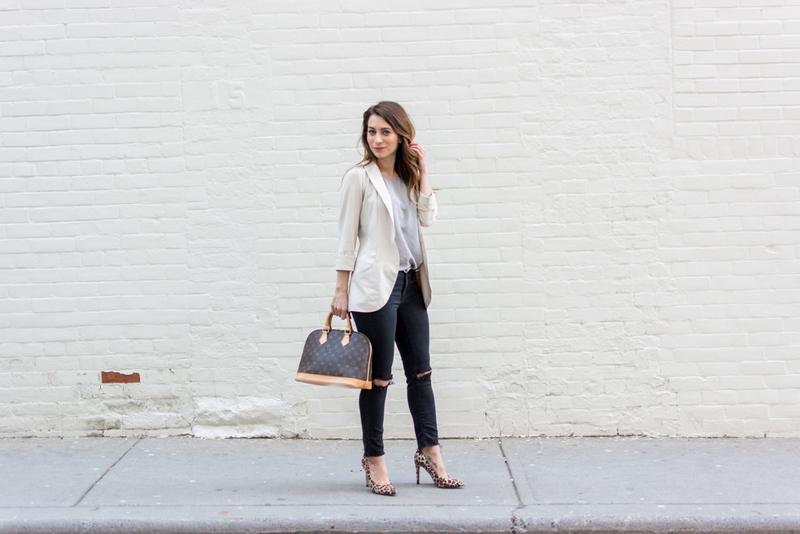 OOTD - Louis Vuitton Monogrammed Alma | La Petite Noob | A Toronto-Based Fashion and Lifestyle Blog. Although I've flipped-flopped on my stance on designer handbags, I think my mind has been made up: I'm a fan. Even though my collection is petite, I'm always looking for ways to add handbags without breaking the bank. I spoke about online luxury consignment store Love That Bag in a previous post and am still loving then as a great resource to grow your luxury bag collection. This Louis Vuitton Alma looks brand new (seriously, I had to do a double take) and comes with the original dust bag and authenticity cards. I'm also loving the monogrammed print of the bag, which is so on-trend at the moment. What I appreciate most about Love That Bag is that their prices are all in Canadian dollars - and no duties, which is a huge relief! My USA friends also benefit from this though, since the Canadian dollar is so weak compared the that of the US so you can get a gorgeous pre-loved designer bag at an absolute steal! Designer handbags are definitely a guilty pleasure, but if there's a way to save money while growing your collection then I'm a happy camper! What do you guys think? Do you also love designer handbags? Have you ever tried growing your luxury collection with pre-loved bags? Let me know! I just want to told you that you are looking so pretty and gorgeous with this outfit, I can understand that you have great seance of hummer among with cloth. Keep sharing more fabulous content with us.